Written by Harry Boden. Arranged by John S. Baker. With genial-hearted, honest men. who claim the title. "Friends!" Old pals, dear pals, pals both firm and true! 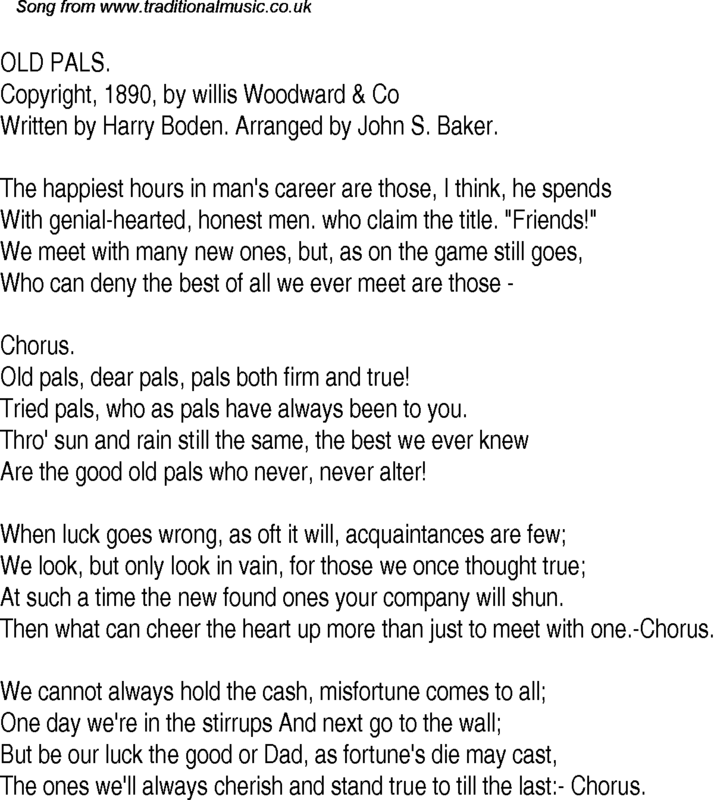 Tried pals, who as pals have always been to you. Are the good old pals who never, never alter! At such a time the new found ones your company will shun. Then what can cheer the heart up more than just to meet with one.-Chorus. The ones we'll always cherish and stand true to till the last:- Chorus.